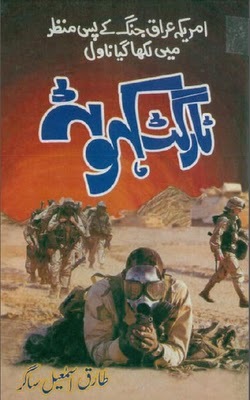 An Action Adventure Spy Novel by Tariq Ismail Sagar, written in the background of American Invasion on Iraq in 1991, also known as Gulf War or Operation Desert Storm. Kahuta is the home to the Kahuta Research Laboratories (KRL) which was founded to undertake the Kahuta Project as part of the Atomic Bomb Project. According to writer, the Kahuta is life-line of Pakistan. Israil's Mossad and Indian RAW had combined efforts, Intel sharing, espionages and military action to destroy Pakistan Atomic Research Program. 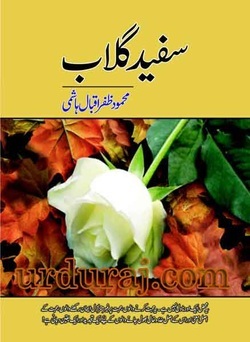 Safaid Gulab is a Social Reforming Romantic Novel written by Mehmood Zafar Iqbal Hashmi, a Jeddah Saudia Arabia based Writer and Novelist. The story of the novel revolves around two persons who belong to different worlds East and West. East and West have total different cultural, moral, social values and different perspectives on many things including concepts of right and wrong. The writer very skillfully developed the story of two different worlds and produced a memorable Novel. 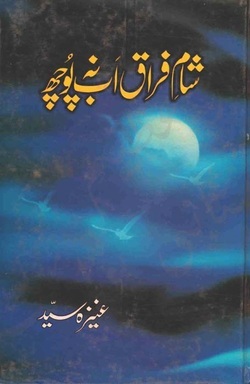 Ae Ishq is a Social Romantic Novel by Pakistani Writer Nazia Kanwal Nazi, who has many best sellers on her credit. Ae Ishq ( Love) tells the story of those who fall in true love and those who use name of love to deceive,cheat and flirt. Love is a powerful emotion and feeling that makes a heart so tender and can make one's life heaven or hell, depending on one's beloved or situation and circumstances. Nazia Kanwal Nazi has expertly told different stories in parallel in this particular novel. We hope, kitaabghar.net readers will like this Novel and give their comments and feedback. 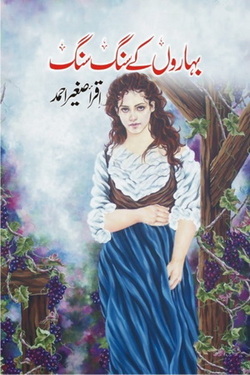 Baharon Ke Sang Sang is a Social Romantic Reforming Novel by Women Writer Iqra Sagheer Ahmed, who has many best sellers on her credit. 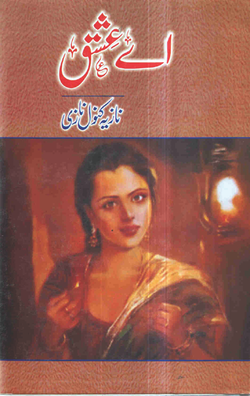 This was her first Novel published In Anchal Digest and got very popular among digest readers. Family Bonds and Emotions of Love, Hate, Greed and Sacrifice are the basic elements of this Beautifully Written Novel as well as role of politics and power games and its effects on social lives of the individuals. Cobra by Iqbal Parekh is an epic Action Adventure Novel on Mumbai Underworld, serialized in Monthly Imran Digest in early 90s. Its a story of Dawar, a DareDevil Criminal, Gangster and Contract Killer known as COBRA in Bombay (Mumbai)Underworld and his Drunkard Sidekick Abdul. 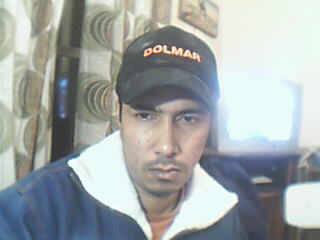 Dawar a slumdog who was a good natured, educated person, became a furious criminal and a terror for both underworld criminals and businessmen. Who was Cobra? What was his Past? Why an educated nice man turned criminal and what was the story that gave him his nickname COBRA? Only reading this novel will give you answers. 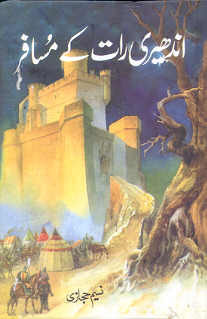 kitaabghar.com is presenting this epic novel in weekly episodes, every friday. We hope, our Action Adventure Crime Thriller Stories fans will like this Novel. 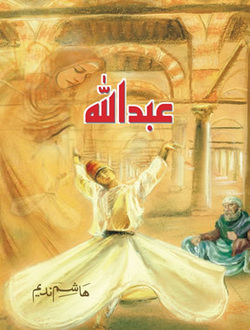 Allah Kaba Or Banda Allah Kaba Or Banda is a Book on the Spiritual Journey of Hajj with all its Glory. It’s a Travelogue and Reportage of Dr. Asif Mehmood Jah's eyewitness account of Hajj and has been written while sitting in front of KAABA, ROZA RASUL and other Holy places in Makkah and Medina. Allah, Kaaba aur Bandacontains feelings and expressions created during the visit of holy places in Mecca & Medina during Hajj. The Hajj pilgrimage rites performance and visits of various Holy sanctuaries is a wonderful experience. Whatever he felt in his heart and mind, he tried to capture those precious moments and images in black and white. You may notice that the writer of this book has somewhat looks de-tracked but this is not the case. This is his emotional absorption with the situation, place and the moment that he forgot himself OR his writing is overfilled with love, passion devotion and commitment. 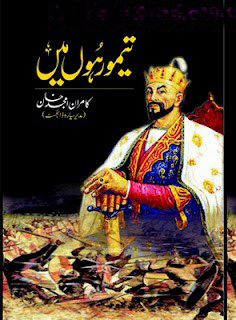 All the narratives in this book is talk of the heart, talk of inner of the man. The talk of the feelings bursting out of his heart. These are the sobbing, groaning, crying and firehouse of sentiments which can never cool down. The book has been reviewed by eminent writers and scholars including Mr. Majeed Nazami, Mr. Mustansar Hussain Tarar, Mr. Hassan Nisar, Mr. Atta ul Haq Qasmi, Maulana Tariq Jameel, Mufti Rafi Ahmed Usmani, Dr. Anwar Sadeed and others.